Poll: Do you agree that there will be “serious dangers” to the supply of rental housing for vulnerable tenants as a result of planned reforms to rental housing? When Govt states it will have a process in place to EXPEDITE evictions for those tenants in rent default that would be of great interest. 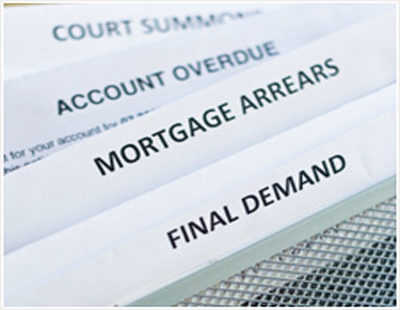 In Oz if you rent default you are booted out 14 days later with police assistance if necessay. Consequently OZ DOESN'T have to much of an issue with rent defaulting tenants who won't LEAVE!!! That is the sort of expediting that UK LL would want in exchange for S21 going. It may have escaped the Govt attention that tenants cause over £9 billion of losses to LL every year which are generally irrecoverable due to the pathetic Civil Recovery process in the UK. Most of the losses are rent default. But yet again we have aTory Minister repeating the mealy-mouthed words of pathetic Shelter that S21 is the biggest cause of homelessness in the UK. S21 is just the process that LL are forced to use to evict if a tenant fails to comply with a S21 NTQ. All my 5 S21 evictions were caused by rent defaulting tenants who then refused to vacate. I was forced to evict because the rent defaulting tenants refused to vacate. It was my rent defaulting tenants that caused their own homelessness cos they WOULDN'T pay me the bloody contractual rent. Had they done so they could still be my tenants!!!!!!!! 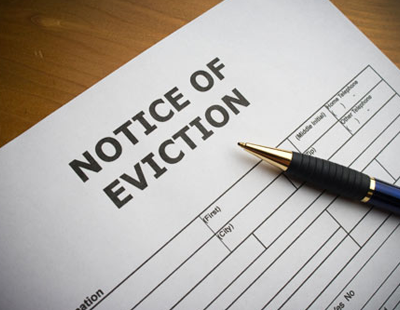 If ALL tenants COMPLIED with a S21 notice there would be NO need for ANY evictions. It is ONLY because tenants refuse to comply with a S21 that LL are then forced to carry out the formal eviction. Many LL will be chucking in the towel. Many LA are going to lose a lot of business if S21 is abolished etc. S8 even if beefed up will remain as inadequate as it is currently. The PRS will continue to decline the more these bonkers new regualations are introduced. If a LL CANNOT easily recover his property then he WON'T bother being a LL!!! I'm not surprised by this, we will be forced to use section 8, which will take longer and be more expensive, however when a tenant is evicted with a sec 21 there is no record, with a sec 8 there will be a record to say they were evicted for rent arrears, they will then find it very difficult to find a landlord to take then on, so shot in foot comes to mind. There will only be a record if landlords see it through to a court case. If the tenant leaves the property before the court date and it is not pursued further (because of additional expense) then there will be no record. This happened to me and I cut my losses rather than incur further expense from tenants who, (I found out) 'didn't have a pot to p**s in' and were unable to pay anything back even if the court ruled in my favour. Final nail in the coffin. Rich LL who are the other 50% of the PRS can better absorb losses as they have no mortgage to pay. Whether they will wish to absorb losses is another matter. They could easily decide to sell up! 25% of morgaged LL are sole traders leaving the other 25% as corporate LL. Now I am not sure what the corporate take on S21 would be. But Govt wants more BTR!! Will this occur if S21 is abolished and the even more looney ideas of that ridiculous think tank the IPPR including rent capping come to pass. All this before we have that looney Corbyn in power. He'll make what the Tories are doing tame in comparison!! The PRS is returning to the 1970's. I feel very sorry for the tenants who will find that there is a dearth of rental properties and consequently they will be paying a lot more rent or illegal rent if capping is introduced. Such tenants need to be able to come up with the cash to pay the proper rent NOT the capped rent. If they choose not to they WON'T be a tenant!!! It does look on the face of it that the Govt are 'pushing' the burden of housing onto the PRS. Longer tenancies, no section 21 just means longer to remain in a property when things go wrong, leaving the landlord to pick up the financial burden. I like the Australian model of 14 days or you are out (Paul Barrett). When I was collecting rent, it was important to make the tenant realise that the rent was the most important expense in a month, not the Sky subscription. Landlords use the Section 21 because it is a 'no fault'. That doesn't mean there isn't a fault, it is just quicker and easier than a Section 8, because it has a guaranteed outcome. I always coached my landlord clients to NOT mention any reason for a section 21 when conversing with tenants even though both sides knew the reason. It just gave the Council or the Court an excuse to delay the possession order. If they manage to come up with a better (i.e. quicker?) way of ejecting problem tenants then fine. But stop expecting the PRS to pick up the pieces. Councils need to provide more housing as in 50s 60s and 70s. Need to sell up and go Commercial, fully repairing Leases, if rent late more than 15 days, Lease terminated, simple and works so well for past 15 years. Private LL have had their day. Now watch councils and governments squirm.! If mortgaged does your lender allow AirBnB or will you do what thousands of other LL are being forced to do and that is game the system. Get rid of AST tenants for many AirBnB occupants!? Who may be considerably cheaper. You would be taking a big insurance risk. But I would game the system. No lender will ever find out as they are too thick to work it out or they DON'T want to know! The only way forward are B&B's. Legal contract per night and paid upfront. There is no such thing as a Government Consultation, we had all that with the Licensing Schemes. I attended 3 separate meeting around one Borough. The Mayhew Report where a guy from York came & told us what they were bringing in & that’s what happened we had no say whatsoever. That’s not a Consultation and the clowns got paid £100k for that our money. 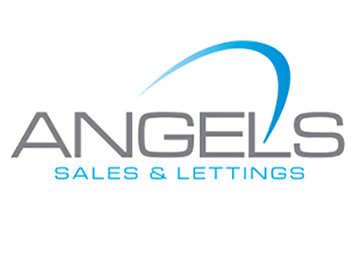 So how are future rent increases to be agreed if a tenant won't agree one?